Every morning I took a short cut along the side street next to Wat Khili to go observe the Morning Alms Giving on the main street. The first morning I was struck by the beautiful yellow flowers along the temple wall by the entrance to Wat Khili. I stood there for awhile admiring the white stucco French colonial style monks quarters on the ground of the temple. 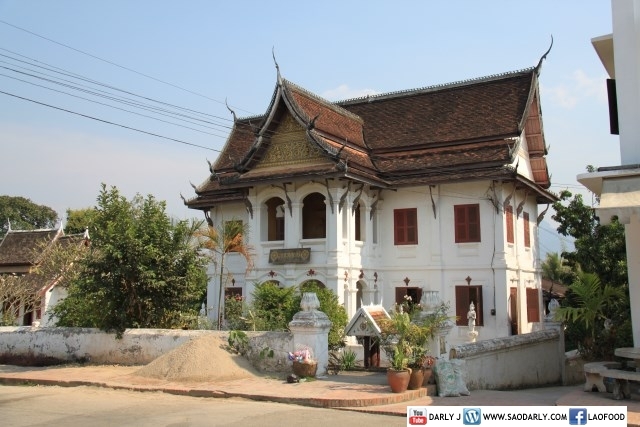 I could wander the streets of Luang Prabang for months examining architecture design of the town.